Men that used to sauna 2-3x/week were 27% less likely die from anything cardiovascularly related when compared to men who used the sauna only 1x/week. Men who used the sauna 4-7x/week were 50% less likely to die from cardiovascular disease related deaths when compared to men who used the sauna only 1x/week. Not only was frequency of sauna use important, but duration of sauna use was also vital! 19+ minutes had the most profound affect on lowering cardiovascular disease and cancer when compared to only 11 minutes of usage. Are you kidding me? 19 minutes or more?! It’s that easy?? How Is The Sauna So Beneficial? If you think about it, the sauna in some ways mimics cardio exercise. When you’re in there, you’re sweating because it’s hot and your heart rate goes up. Blood flow increases to the heart, oxygen to the tissues increases. The sauna equates to a brisk walk. 2-3x/week of sauna use resulted in 24% lowered all cause mortality risk. 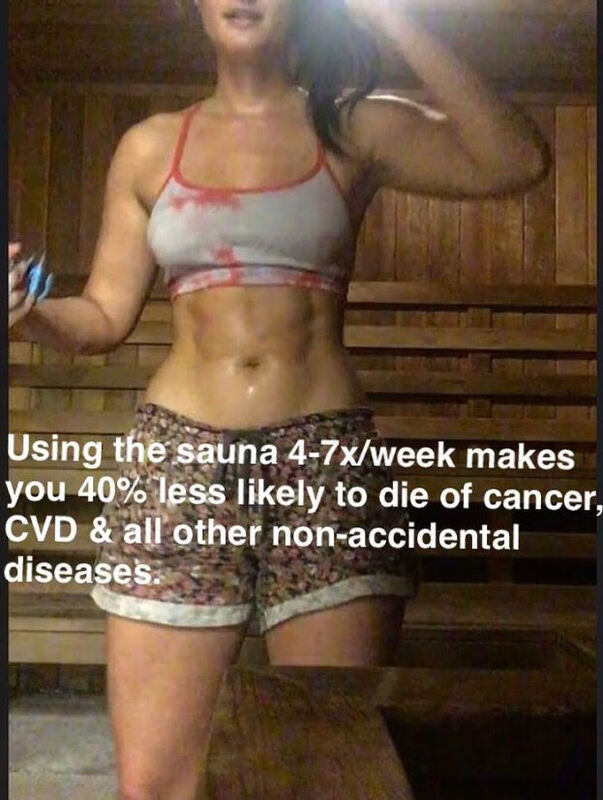 Men who used sauna 4-7x week were 40% less likely to die of cardio vascular diseases, cancer, neurodegenerative disease, respiratory disease and all other non-accidental diseases. The sauna sensitizes the brain to endorphins (the feel good chemicals in the brain). The sauna activates the activates FOXO3 gene that allows you to age slower and live longer. The sauna Increases your own production of HGH – Human growth hormone. Long-term sauna bathing may help lower blood pressure in those with hypertension and improve the left ventricular function in those with Congestive Heart Failure. The sauna poses no risk to healthy people from infancy to old age, including healthy women in their uncomplicated pregnancy. Heat Shock Proteins (HSP) are proteins in the body that make sure that other proteins maintain their structure and work optimally. When proteins become damaged, they kind of fold, this causes something called “protein aggregation” within our cells. This folding leads to protein aggregates (Beta amyloid plaque) within our brain. As a normal part of existing in this world, the proteins in our body are being damaged every day. They become damaged more readily as we age because we are exposed to more toxins as we get older. This is why it is important to eat fruits and vegetables, the antioxidants repair that free radical damage and repair those aggregated proteins. The Significance of “Protein Aggregation”: This leads to Alzheimer’s Disease, Parkinson’s Disease and other Neurodegenerative Diseases. HSP can reverse, repair & prevent those damaged folded proteins. 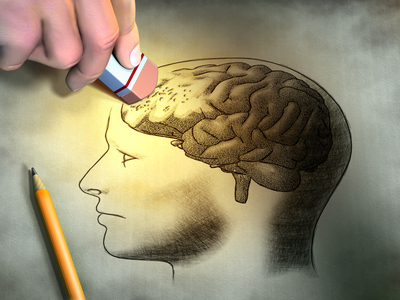 This is precisely what is preventing Alzheimer’s Disease, Parkinson’s Disease & neurodegenerative diseases. All of this is available to you simply by using the heat sauna. The FOXO3 gene is the master regulator of other genes, that have to do with stress and the ability to handle stress. Many different kinds of stresses can damage our DNA…such as environmental toxins, pesticides on our foods, EMF’s from Wifi, unclean water. (The list can go on). But there is also GOOD kinds of stress, such as heat and cold, which activate the FOXO3 gene. 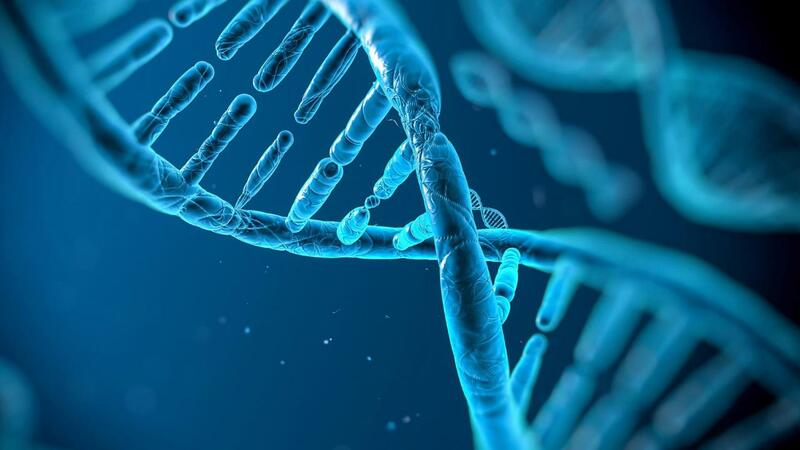 FOXO3 activates genes that repair DNA damage before it can form a mutation. FOXO3 is also involved in apoptosis (cell death) which is a protective mechanism against cancer. We have cancer cells in our body right now, but our loving immune system is there to perform apoptosis – which destroys these little buggers. FOXO3 activates antioxidant genes that prevent damaged cells from secreting inflammatory cytokines. These damaged cells that secrete inflammatory properties are what accelerate the aging process in our body, our skin, our face. In mice studies, the FOXO3 gene actually activated other genes that allowed mice to live 20% longer than their normal life span. FOXO3 also activates your body’s own ability to create stem cells. As we age, we do not create as many stem cells. Centenarians (those that have lived to 100 years old) were shown to have increased activity in the FOXO3 genes. To summarize, if you want to live longer, have a better quality of life, reduce your risk of cancer, heart disease, neuro-degenerative diseases, create more stem cells, increase your growth hormones, increase production of endorphins in your brain, then start sweating it out in the sauna! It’s a no brainer.